Behavioral Health services are provided at CTC by licensed behavioral health therapists, including social workers and psychologists. An initial evaluation is completed for all children/families to determine the child’s specific needs. A one-on-one interaction between the therapist and the child and/or the parent(s)/guardian(s) to enhance problem-solving and coping abilities. The therapist identifies the problems to be addressed and works on formulating goals. Together the therapist and the family decide how the sessions are structured. Issues are addressed by the family as a whole. Helps children through art, play and talking individually or in a group. As the child interacts with the therapist or with peers, the therapist redirects the play to more appropriate behaviors. Children eligible for medical assistance with a documented need for behavioral health services as prescribed by a licensed psychologist can be evaluated to determine eligibility for wraparound services in the home. These groups benefit children that may have difficulty with social interactions, difficulty in developing and maintaining friendships, and other behaviors that may interfere with appropriate social interactions. Teen talk provides an opportunity to foster independence and positively impact the way our age 13-18 adolescents transition into adulthood. 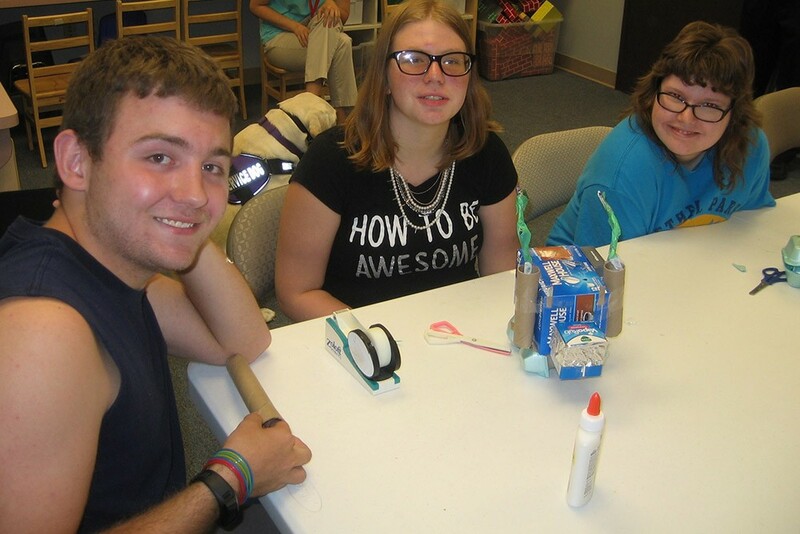 Social skills are addressed through a combination of group meetings, community trips, vocational skills activities, and special projects in an enjoyable and educational social setting where friendships can be nurtured. Teen Talk provides an opportunity to foster independence and positively impact the way our adolescent clients transition into adulthood. Community outings to restaurants, stores and more are held as a means to practice and generalize newly acquired skills. Parents are also provided with educational opportunities to assist in preparing their teens for a more independent and rewarding life as an adult. Teen talk sessions are held weekly for an hour. Increased awareness and knowledge related to safety issues for independence. About relationships, personal hygiene, self-care skills and more. To identify and develop shared interests and hobbies. To problem solve complex social situations impacting teens (i.e. prom, bullying, Facebook, etc.). Ability to advocate for themselves.